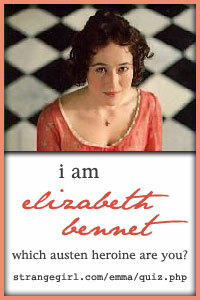 While you are there, please take a peek at some of Emily’s work. I love how fresh and engaging she is as a writer! And I love to get my subscriptions telling me she has shared a new nugget. When I came to you with the idea of personally joining Match.com to find a relationship, I was thrilled that you offered your help. I also really enjoy seeing my adventures immortalized in your blog. I thought it would be fun and I trusted your instincts. I’ve seen your relationship with your own Prince Charming (aka PC) first hand, and I’d hoped your guidance would help me find that same magic. So let’s begin with what I’ve learned from you about myself. My only stipulation is that you do not judge me too harshly or see me shrouded in a perpetual cloak of ignorance. You are my friend, and that would hurt. I never actually had a successful relationship in any capacity. I’ve gone from one micro-relationship to another (or should I say I’ve been a Toad-Hopping from bed to bed?) I’ve done this all my life. I prided myself in the belief that I held a keen understanding of what women want only to learn at 41 that I couldn’t have been farther from the truth. I have dated, and yes, I use that term carelessly, women who were between 18 and 25. I’ve always told you that I dated these younger women because I lived in a college town with limited options. Now I confess that this is not entirely true. Women don’t date boys, and boys aren’t capable of dating women. What women deserve from men comes from North of the equator! I owe this to myself, to my sons, and to all the women in my past, present and future. In light of my confession, I’ll take this next step with you, Heidi Lee. I want to begin this process in earnest by apologizing to all those that I’ve hurt and by forgiving myself for leading a less than respectable life. P.S. As instructed, I will be dining out this evening with just me, myself, and a good book – so that I can learn that my own skin can be a happy place to live. Project Toad: Help us Create an Online Dating Profile…Pretty Please? Truly, friends, this is the response Jake gave me when he was asked to find his 5 best qualities that a woman may admire. He went on to tell me that, while finding admirable qualities in others was easy, he really struggles to list 5 strengths that someone else may value in him. My response? “Perfect start, Jake! Looks like you were raised with a knowledge of good manners. We are on a roll!” Honestly, he also has a pretty good sense of humor also. Following our little pep-talk, Jake was able to complete his homework assignment in preparation for designing his Online Dating Profile. He has a little bit of insight in how to tackle the personality profile now, because he has a level of self-awareness. So he actually gave me 6 positive qualities – even better. I’d say we have a great start to who he is and what he is looking for in his Princess Charming. And Jake seems like a pretty great guy, right? Perfect! We can move on to the next exercise. Jake’s next homework assignment involves his interests. I’ll warn you, friends, he is going to be a little frustrated with this next task. He is excited to get a profile up so he can start winking, but I’m not allowing him to be so hasty. He needs to know what he wants to say, and who he wants to attract when he goes live on Match. Jake’s list of good qualities now needs to be complimented by the type of hobbies and activities he enjoys. He took quite an interest in my earlier post that discusses creating the anti-profile, so we will use this concept as a foundation for building his How about we…. section of the All About Jake page. Let’s find out what he absolutely would never do so we can start leveraging those Open-Minded Life Learner qualities that he claims to own. So, my toad kissing friends, here is where I ask for your help. Can you start throwing out some hobbies or interests that you enjoy? Maybe even share your idea for your favorite date? I can promise that Jake will be reading each of your suggestions, and he’ll mull them over one at a time. This will help to open up his mind to enjoyable activities that don’t involve school plays or Pizza Night at Chuckie Cheeses. So, how about it, friends? Help a Fellow Toad Kisser out? What are some activities you enjoy – on your own or sharing with others? Dating’s Gone Digital! 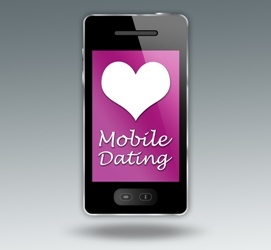 A Smart Phone App for Singles? If I’m not curled up in front of my home computer, I may not have access to a readily available Little Black Book. No worries; I’ve got my 4G technology. Yes, there’s an app that can act as a Little Black Book full of potential blind dates. Sites like OKCupid Locals and HowAboutWe allow for flirty singles to meet up in the spur of the moment. The app delivers recommendations based on geography and timing – a list of singles in a 5-mile radius right now. A couple of quick scans over profiles, and I could send a “How about we…” invitation to another trendy mobile-dater nearby. Reading the article, I couldn’t help but thinking about a handful of my friends. Many have asked me about the various traditional dating sites like Match.com and eHarmony because I found Prince Charming online. Wait, did I say “traditional” as if to mean “old school”? Yes, I suppose that I did. If I look at how I met PC a little over a year ago, I am reminded of the thousands of Singles Profiles I scoured during my digital dating days. Reading this article I felt as if my once oh-so-progressive approach to Happily Ever After may now be considered somewhat dated by the younger generations. The 20-somethings might gravitate towards this new spunky way to meet a match, or at least to have a date for a Friday night. 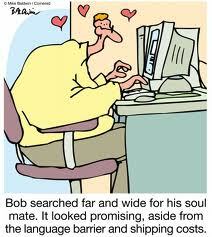 Sites such as Match allow singles to take their time and to get to know people before they actually meet. 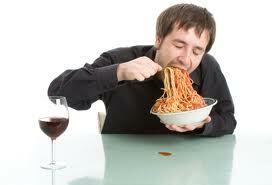 Singles even have the opportunity to speak to each other using and anonymous Call Me tool. They don’t have to divulge a personal phone number, a last name, or where they might be found. I think these sites are perfect for my friends who need a little caution and security in their lives while also wanting a touch of romance. The thirty-something single or divorced Mom, for example, can cautiously multi-task through laundry, dishes, and Match-surfing. She can build up a nice little stash of men who may be available at the same time as her babysitter. Single moms and dads probably have the roughest time actually meeting like-minded people, so online dating is a perfect social channel. I ran into many single dads online – I found many good guys who took a more private approach to meeting Ms. Right. Many of the men were dating online because they didn’t feel they were meeting the right women during bar crawls with their single, child-free buddies. Other men were simply motivated professionals who sought women outside of their existing social and professional circles. Yes, I met a few “creepy, wish I could roll back the clock” sort of men. All-in-all though, the men were vulnerably putting themselves “out there”. Some of my younger friends are a bit more adventurous. A last minute suggestion for grabbing a martini might be just what they need after a long day at work or in school. I’m sure that a quick invitation from a handsome stranger could put a little kick back into a fallen step. A missed deadline, a failed project, or perhaps a celebration of a tiny personal conquest might be all the reason someone needs to reach out and spin the wheel. Whatever the reason, I think the App is aimed towards instant gratification rather than long-term commitment. As long as the singles follow a few rules for safety, either sort of blind date could be a load of fun. I have 2 rules that clearly apply to both channels, but even more specifically to the Mobile App. Cash – not credit! A lady always knows when and how to pay for her own drink. While the first rule may seem self-explanatory, please allow me to elaborate on Rule #2. None of these sites give away your personal identity – you shouldn’t either. Men and women both should always carry cash-on-hand. Paying for a drink with a credit card can give the other person the opportunity to glance at your last name – something you don’t want if your date seems to be sizing up your body parts for a coffin in the basement. Keep a spare $20 or two in your purse or wallet, and use it wisely. One day you may find yourself grateful to have listened to your mother’s advice to tuck a $20 away just in case – this advice comes from experience. But have fun – enjoy – be creative. Most importantly, be safe. Reference: Jenna Wortham. With an App, Your Next Date Could Be Just Around the Corner. New York Times. November 2, 2011.